We stayed in the Hana Palms Retreat for two days March 2019. 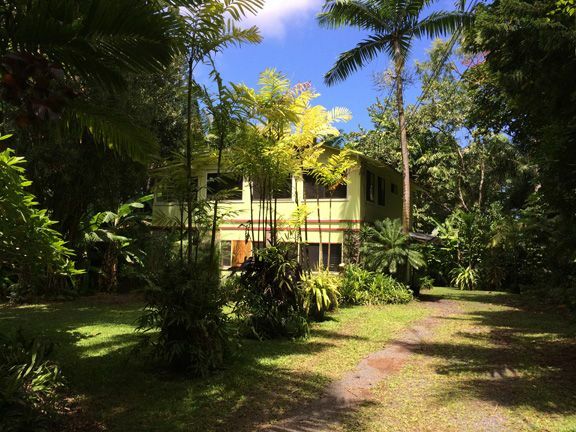 We rented the entire 2 story home and really enjoyed it's location for our Hana trip. There were 11 of us and the house fit our needs perfectly. The owner was very nice and check in and out was easy. The grounds surrounding the home are lovely too. Hana is very tropical and it is hard to find a place there to accommodate such a large group so this fit that need with 5 bedrooms. One drawback is only 2 bathrooms, but we made do with that. Hana is too long of a journey to enjoy in one day. With two nights we were able to relax and enjoy a beautiful sunrise on Koke Beach and a trek in the bamboo forest. Thank you again for your hospitality.